Size: approx. 40 mm. Photo: 04/11/12, 9 pm. 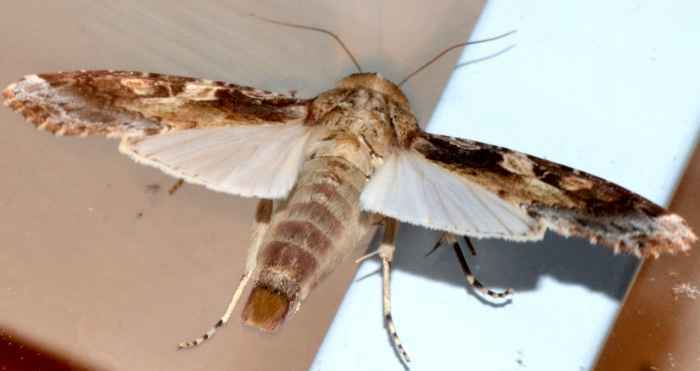 The Velvet Armyworm Moth (Spodoptera latifascia) is found in the Southern US and Central America. The larvae feed on the leaves of tomato plants and other crops. The wing span of this moth is about 4 cm. 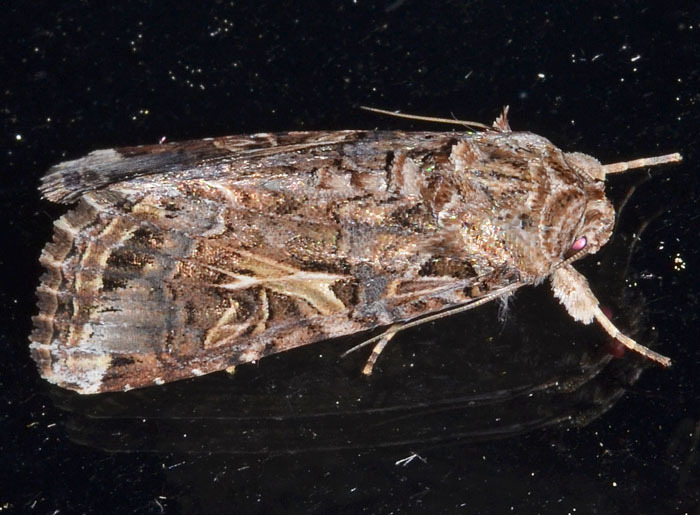 Its larvae are called Cotton Cutworm and feed on many herbaceous plants. 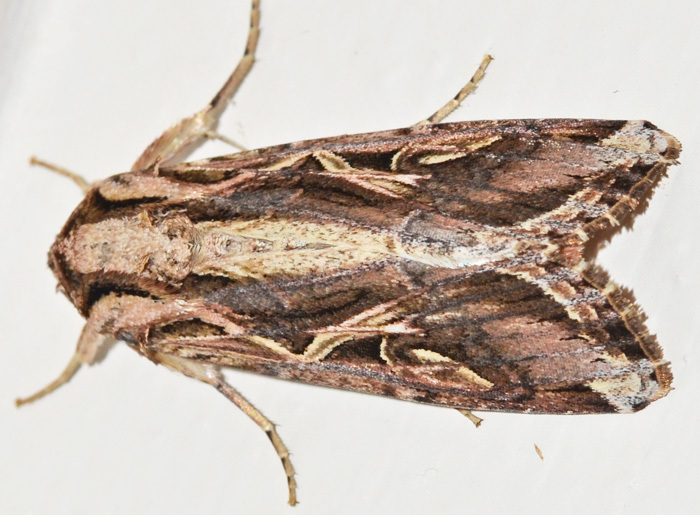 A Sweetpotato Armyworm Moth--don't you love these names. 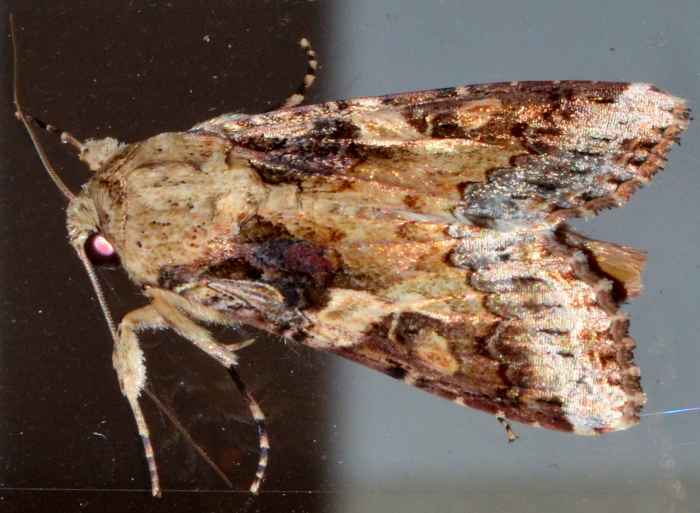 This species is a Southerner with a range spanning from Texas to South Carolina. 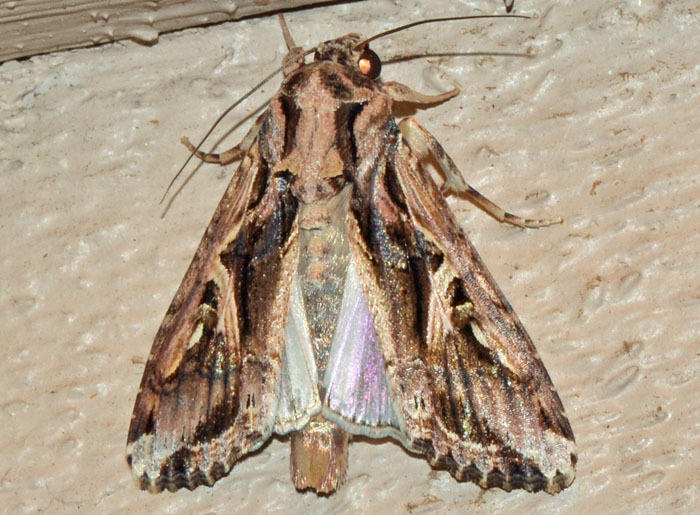 In the small photo (06/15/15, 10 pm), the wings are slightly spread but most of the time the moth has them closed and looks nearly elliptical as shown on the left.